Interestingly enough, Zoo Tycoon was the first game I ever designed for and lead me to where I am today. This was where it all began. It was rather random, for quite possibly, I might never have bothered to look into game designing - or anything technical whatsoever. How did I, a fan of real-time-strategy and war games, arrive at a game called Zoo Tycoon? At the time, I had an interest in tycoon games such as Roller Coaster Tycoon 2. My sister, loving animals as she did, bought Zoo Tycoon one day. Out of curiosity, I gave it a try just to see if it played anything like Roller Coaster Tycoon 2. It did not. I didn't even bother to go past the tutorials; it seemed incredibly boring due to its slow pace. Unlike Roller Coaster Tycoon 2, everything was slower. The guests seemed to crawl rather than walk. Money was hard to come by (it was a zoo after all, not an amusement park). There was also nothing to really create. In Roller Coaster Tycoon 2, you were able to build and test rollercoasters. There were also several mods available to allow you to ride them. In Zoo Tycoon, you simply placed objects. At most, you customized your exhibits. I left the game for a while afterwards. I later remembered there were a few user-made object editors for Roller Coaster Tycoon 2, and curiosity brought me back to the Zoo Tycoon. I searched the web and found that indeed there was an animal/object editor, known as A.P.E. It was simple enough to use. 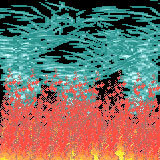 Just for the heck of it, I cropped graphics from Roller Coaster Tycoon 2's fire vent objects and threw them together. I ended up with my first user-created animal, Fire. It was funny to see fire encaged at a zoo and tended by a zookeeper, and I was inspired to try other weird designs. By now, I wanted to go further with what I make. Several searches lead me to Zoo Admin, where I remained anonymous for the time being. There was plenty of information, and I found no need to join. It wasn't long however, before I registered at their forums. This was also the first time joining any forum. I decided on the screenname Flamethrower, based off the fact my first creation was fire. Before any of these events, I might as well had been computer illiterate. The community was friendly enough and I soon found my place among them. After submitting Fire, I went to create a Water Tornado, out of the Waterspout object in Roller Coaster Tycoon 2. This was a bit more advanced, for this time the "animal" was capable of swimming or crossing water. The combination of these two being my first creations led the fire and water avatar that I used during this time. The ease and satisfaction from each project, not to mention the vast amount of information and excellent community at Zoo Admin drew me further and further into designing. I eventually got to the point I was involved in slight amounts of programming, which would be my first venture into that area. The only areas of Zoo Tycoon design I didn't attempt were scenarios, fences, and paths. The layout on this page is based on that of the old Zoo Admin site, when I was active. I do not at all mean to copy. Zoo Admin was pretty much the only site I visited during this time, and I only wish for these pages to reflect that.